A semi-official Iranian news agency is quoting an aide to the country's president as saying that he doesn't see "any reason" for talks between Donald Trump and Hassan Rouhani at the next United Nations General Assembly. 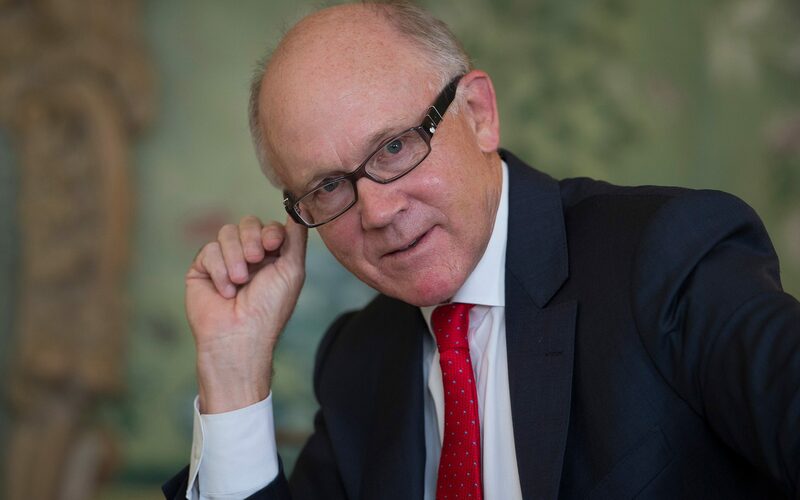 Ambassador Woody Johnson cautioned there would be trade consequences for Britain, which he described as the closest US ally, unless it breaks with the European Union and follows Trump in re-imposing sanctions on Tehran. Ambassador Robert Wood Johnson wrote in the Sunday Telegraph that "we are asking global Britain to use its considerable diplomatic power and influence and join us as we lead a concerted global effort towards a genuinely comprehensive agreement". Mr Johnson even goes over the head of Whitehall and urges British businesses directly to cut ties with Iran. It is time to move on from the flawed 2015 deal. In relevant remarks in April, AEOI Chief Ali Akbar Salehi said his organization enjoys the capability to restore 20-percent uranium enrichment at its Fordo nuclear facility in just 4 days if the 2015 nuclear deal is discarded by the other side. Britain and its European allies responded with dismay to the United States president's decision in May to pull out of the 2015 deal which relieved sanctions on Tehran in return for an end to Iran's military nuclear ambitions. He added, "The President has been explicit: any businesses that put their commercial interests in Iran ahead of the global good will risk serious consequences for their trade with the U.S". "We don't sympathize with the sanctions, we don't think they are appropriate, and we don't interact with them, but we are committed to protect our people". Woodland and Kisner played in the same group, and they offered a great example that Bellerive is accommodating to just about any game. USA sanctions that had been eased by the Obama administration under the landmark 2015 nuclear deal, known as the Joint Comprehensive Plan of Action, took effect again Tuesday. "We made it clear that we regard the nuclear deal as an important part of the region's security". In a letter to the Consortium of Moroccan Banks (GPBM), Morocco's minister of foreign affairs, Nasser Bourita, instructed the kingdom's banks to "take all necessary measures" to avoid the political repercussions that may result from trading with Iran, L'Economiste reported on August 9.